With the federal government facing another partial shutdown on Friday over border-security funding – just three weeks after the longest such shutdown in history – Vail native and U.S. Senate candidate Mike Johnston says dysfunction in the upper chamber of Congress is a big reason why he’s running. A 17-member congressional conference committee of both House and Senate members failed to come up with a compromise agreement on border-security funding over the weekend, dramatically increasing the chances of yet another shutdown. Johnston argues that’s unacceptable, especially in a standoff over money for President Donald Trump’s border wall. 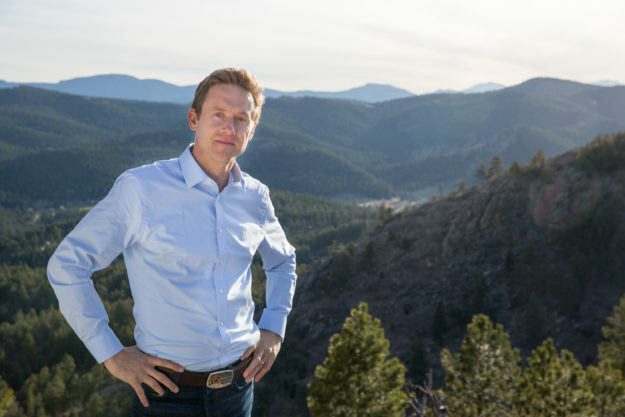 Johnston hopes to land the Democratic nomination to take on Colorado junior U.S. Sen. Cory Gardner, a Republican, in 2020. Gardner issued this statement when the last shutdown ended without any additional U.S. taxpayer money for Trump’s campaign promise of a southwestern border wall funded by Mexico. 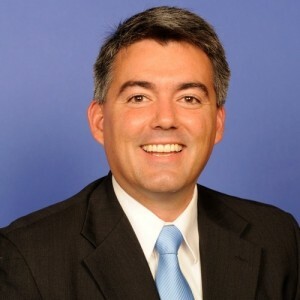 “I’ve been clear that I do not believe government shutdowns are ever the right answer, and I applaud the president’s funding resolution to reopen the government and provide a platform for additional border-security funding.” Gardner said on Jan. 25. That now appears unlikely to happen by Friday, with both Republicans and Democrats digging in and Trump holding a rally Monday in El Paso, Texas, even as he sends more troops to the border. During the first two years of Trump’s presidency, Republicans controlled both chambers of Congress and yet failed to provide anything close to the $25 billion Trump was seeking from American taxpayers to build the wall. Trump now has shifted to saying Mexico will ultimately pay for the wall through a renegotiation of the NAFTA trade deal. Johnston argues the idea of a wall is a medieval concept and huge waste of money anyway. “I don’t think there’s any good argument to be made that there should be funding for a wall,” Johnston said, arguing for a comprehensive approach to enhanced border security that includes employer enforcement, better technology, better processing of asylum-seekers and a better system of legal immigration. Just last year, Trump rejected a Democratic proposal for $25 billion in border-security funding, including wall money, that would have also protected young immigrants brought to the country at a young age known as Dreamers. Trump refused to consider the proposal because it didn’t do anything to limit legal immigration, although recent reports reveal Trump’s golf resorts and hotels have benefited from lower cost immigrant labor – both legal and illegal.